The advent of the technological age has bred a new generation of kids whose interest in science seems to be diminishing. These are a generation of students who grew up with gadgets in their hands all the time, and have a very short attention span. 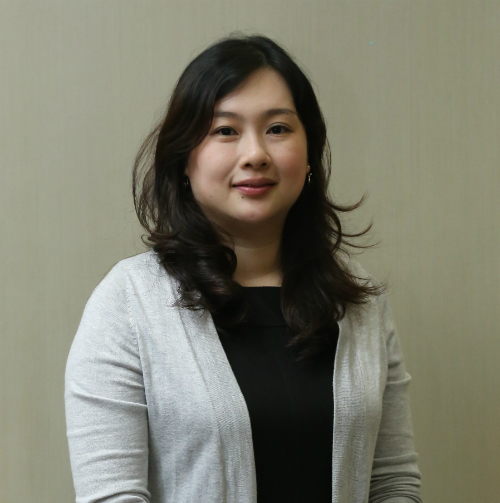 Associate Professor Dr Emily Goh is under no illusion as to the challenges she faces as the Head of School at Monash University Malaysia. For many students, science may seem like a web of tangled intricacies, as the depth of the subject means you barely scratch the surface with a few learning sessions. “Students these days may not like science as they view it a challenging concept or they might not understand the application and importance of science. However there are also those who are very much interested in science and how it relates to our daily life. Interest in science needs to be instilled at a very young age. We need to nurture our children with a love for science and that is the change I would like bring about as the Head of School,” said Assoc Prof Goh. “The rapid advances in science and technology will greatly impact the lives of our children. There are many science workshops that we run every year, such as “Cracking the code of life” where students learn to design a simple DNA extraction kit; fat extraction workshop, which provides students with a hands-on experience on extraction of oil from potato chips and subsequently, compare the amount and physical properties of oil in various brands of potato chips. We have also collaborated with BASF Malaysia to organise the annual BASF Kids Lab, where kids aged 6-12 perform simple chemistry experiment to instill their chemistry knowledge to daily life. ” she explained. Changes in teaching and the dissemination of information has also been necessitated by the disruptive world that we live in. Didactic methods where teaching is governed by teachers, and students listen, can seem a little out of place with the current generation. “Students have the opportunity to learn outside the classroom, as they go on field trips to places such as Pulau Perhentian, Mulu National Park, Taman Negara and factories,” Prof Goh elaborated. Monash is cognizant of the various different methods that are being bandied around by those across the academic circles, from using applications like WhatsApp, to social media tools like Facebook, where emails were once the order of the day. The revolutionary active learning approach embedded in our courses is one that aims to empower students. It moves them from a reactive setting to a more proactive setting with students themselves in the driving seat. “In an active learning setting, students are required to come prepared. They will need to study prior to the lesson. They will then discuss theory, concepts or applications in the classroom with the lecturer imparting knowledge in an interactive learning environment,” explained Assoc Prof Goh. “This approach is to encourage independent learning among the students,” she said. The School of Science emphasises on industry engagement. Students will need to complete a compulsory internship program in the Bachelor of Medical Bioscience and Bachelor of Food Science and Technology. In this internship program, students will apply their knowledge and gain relevant work experiences in the companies relevant to the food industry, hospitals, diagnostic laboratories or research laboratories. “All these are efforts to develop graduate attributes and produce work-ready graduates with good communication skills and team spirit,” she said. As the youngest Head of School, Assoc Prof Goh espouses the importance of creating more opportunities for younger staff to be mentored by their senior colleagues. “This is important as it will help enhance both their teaching, research and engagement profiles,” she enthused. “I have had the advantage of seeing the inside out of the school and getting to know each individual staff. All these experiences have allowed me to view problems from different angles and that is my strength,” she said. For more information on the courses available at the School of Science, Monash University Malaysia, please visit www.sci.monash.edu.my.